And no, there still won't be a reborn Esprit. 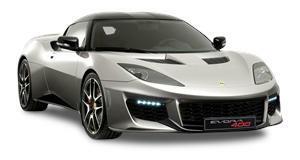 The Lotus Evora will be taking model year 2015 off from the US market due to the expiration of its smart airbag exemption. Fortunately, Lotus confirmed that it'll be back in the US for 2016, and it’ll be better than ever. During a discussion with Car and Driver at the Paris Motor Show, Lotus CEO Jean-Marc Gales also made clear the 2016 Evora will receive some major updates in order to keep it on par with its direct rivals. Gales said the updated Evora, aside from having proper airbags, will be faster, easier to get in and out of and have a vastly improved interior. The goal is to sell 500 Evoras in the US in 2016, compared to the 264 units sold last year. In terms of new models, Gales further added that everything the sports builder will be doing over the next several years will utilize the existing bonded-aluminum architecture. "The Evora has a lot of life left in it, and we are actively thinking about getting derivatives from that platform…models that will come to the market in the next two to three years." So what are they? Likely there’ll be an Evora roadster as well as even faster versions of the coupe. Furthermore, Gales said it’s possible to significantly alter the current platform’s dimensions and wheelbase. Expect Lotus to stick with the current supercharged V6, with a return to V8s very unlikely.